We are happy to announce a new feature for your Vatech Pax-i 3D in the latest update of the Ez3D Plus software. 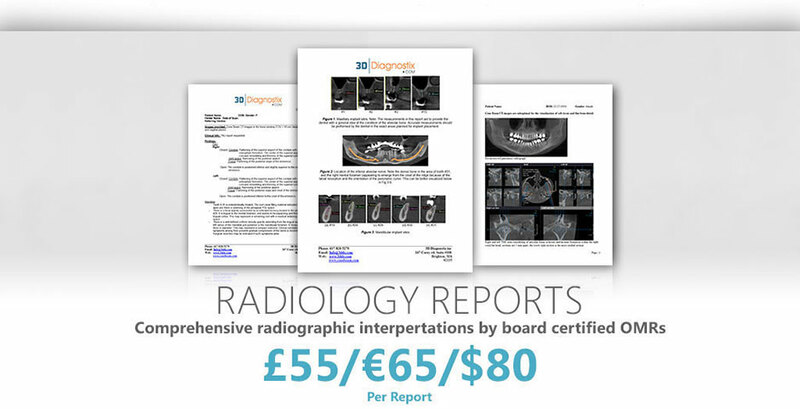 You can now order Radiology Reports and Surgical Guides for your Ez3D Plus Implant Plan in just a few clicks! systems and guided surgery kits. • Delivery within 5 business days. Radiology reports, fixation sites/pins/drills are not included. Shipping and handling ($35) is not included. Online review is an unlimited number of online sessions with one of our dentists to go over the proposed Ez3D Plus or Ez3D-i plan. If no online review is requested, one of our dentists will still review your case before it goes into production. An email will be sent if there are findings that need corrective action.